Now that the dust has started to settle on the Simplivity acquisition news I wanted to do a cheats guide to get readers up and running with who Simplivity are, what the tech is all about and some thoughts on what we can expect in the future. Simplivity was founded in 2009 and spent more than 3 years in stealth as they wanted to bring a unique product to market. As we will see in the tech section their product covers the standard definition of hyper-converged compute, storage and hypervisor plus some additional features. The company based in Massachusetts has been through 7 rounds of funding totalling $276 million. The company was acquired by Hewlett Packard Enterprise on January 17 for $650 million, delivering investors a 2.4 times return on investment. This would appear to be a bargain given the $1 billion valuation attributed to the company during its last round of funding and well below the initial rumours of $4 billion. Whilst traditional storage revenues have been declining hyper-converged system growth has been booming. Gartner were projecting 79% growth in the HCI sector in 2016 with the market expected to reach a $5 billion valuation by 2019. For those new to this concept hyper-converged brings compute, storage and hypervisor into a single box. This datacentre in a box idea brings benefits such as less floor space in the DC, single point of management for infrastructure and ease of deployment. Generally these hyper converged systems can be thought of as building blocks, so as you need more compute or storage you just add more of your chosen hyper-converged nodes to expand the capacity of your infrastructure. So far we know that Simplivity is a hyper-converged “data centre in a box” product. The first thing to recognise is that Simplivity goes beyond the standard definition of hyper-converged a shown in this graphic from Simplivity. Physically each node of a Simplivity system is a 2U form factor, today called an OmniCube. This forms the building block of a Simplivity system. The KVM, Hyper-V and VMware hypervisors are supported. Each node contains an OmniStack Accelerator Card. All data is written to the DRAM on this card where the write is acknowledged, this is like caching on a SAN. Data is compressed and deduped by the OmniStack Accelerator Card in line. This is very similar to the idea of using an ASIC in the 3PAR, by using an additional piece of hardware it is possible to offload all this work from the CPU. This is especially important in hyper-converged where the same CPU will also be powering your VM’s. The storage across all nodes in Simplivity Data Centre is pooled together into a single logical file system. Dedupe and compression is across the Simplivity data centre. Simplivity claim a median data efficiency of 40:1. Backup is possible using Simplivity natively without third party tools and is policy driven. Simplivity systems across physical data centres can be grouped together in a federation, this enables a single point of management. 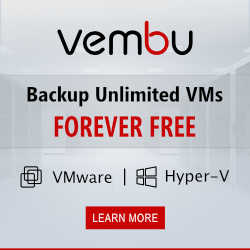 It is possible to move VMs and backup across a federation. All data is deduped and compressed inline at ingestion. This includes backup and replication data, so when the data arrives at the target system it will check if data is unique before writing it to disk. You may hear the terminology data virtualization platform – this is essentially the layer that abstracts the VM from the underlying hardware. Locally this means the disks from all nodes are abstracted to appear as a single pool of storage and within a Federation this allows the free movement of VM’s between Simplivity Data Centres. Systems can all be managed centrally within the vSphere web client . It is interesting that the Simplivity dedupe and compression magic is performed at a hardware level with the OmniStack Accelerator Card similar to the 3PAR approach with the ASIC. I wonder if we see this get bolted onto the 3PAR the future to enhance the dedupe capability and deliver compression. Don’t miss any more news or tips by following by e-mail or Twitter.